Cavs Cavs Archive Is Andrew Bynum Really the Answer the Cavs Are Looking For? If the Cleveland Cavaliers believe that Andrew Bynum is the answer, then it may be time for them to start rethinking the question. The Cavs hosted the free agent center on Monday and reportedly offered Bynum a two-year, $24-million contract with the team holding an option on the second year. For his part, Bynum is meeting with Atlanta and Dallas and is reportedly looking for just a one-year deal to prove he is healthy enough to work a long-term, big-money deal from a team following the 2013-14 season. While it is hard to dispute that Bynum is a talented player, the key phrase in that argument is “when healthy” – because Bynum is anything but healthy. During his career he has played in just 61 percent of his team’s games, hasn’t played a full season since 2006-07, and didn’t play at all last year due to a lingering knee injury. His only appearance in a Philadelphia jersey following his trade from Los Angeles to the 76ers came during a promotional photo shoot after the trade. Bynum is dealing with damage to his articular cartilage, the smooth tissue that covers the ends of bones in joints and allows the bones to glide over one another with little friction or discomfort. He eventually had arthroscopic surgery on both of his knees in March to remove “loose bodies” from his joints in the hopes that the pain and swelling he was experiencing would be alleviated. Prior to the surgery, Bynum talked about how he does not want to play through the pain and that, while surgery could not guarantee that his knees would be fixed, he may be able to return to the court because he has science on his side. Any chance that doctors can “come up with something” before the Cavs commit $24 million to Bynum? The Cavs pursuit of Bynum has been labeled as a “low risk, high reward” signing. But how is anything to do with Bynum low risk? Sure, it will only cost the Cavs money, not players or draft picks, to sign Bynum. But if he can’t play, then isn’t it just wasted money that could be used for a player the team knows will take the court this fall? Being “low risk” means the team can count on you to be healthy and not cause the team any headaches. But in addition to his injury history, Bynum also brings on-court baggage with him. He embarrassed himself and the Lakers franchise during the 2011 playoffs against Dallas when he was ejected during Game 4 of the Western Conference semifinals after delivering a flagrant 2 foul on Mavericks guard J.J. Berea. 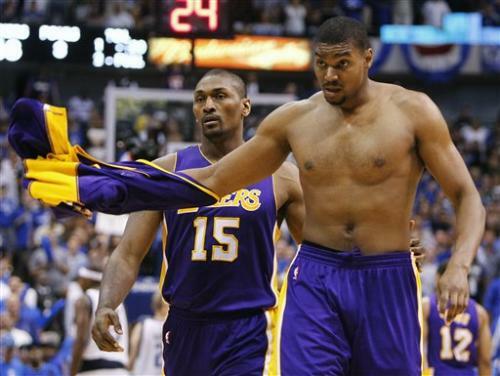 Bynum took off his jersey while leaving the court and clearly didn’t understand why his actions were wrong. Hey, if you can’t defend ’em, just drill ’em. The following year he pulled another stunt during a game against Houston. After being ejected following his second technical foul, Bynum high-fived a row of fans sitting next to the Lakers’ bench before a security guard grabbed him by the jersey and helped him to the locker room. That little incident did not sit well with Mike Brown, who was the Lakers coach at the time and is now in charge in Cleveland. Brown certainly knows what Bynum is capable of (both good and bad) from spending a season with him in Los Angeles, a year that saw Bynum post career highs in points (18.7 per game) and rebounds (11.8 per game). It’s likely that Brown’s input has probably gone a long way in helping general manager Chris Grant decide to pursue Bynum. But if strong personalities like Phil Jackson and Kobe Bryant could not get Bynum to see the light in Los Angeles, what makes anyone think things will be different in Cleveland? 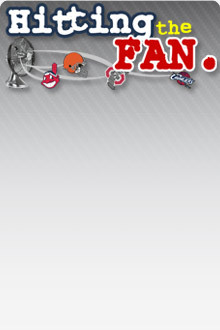 Who is Bynum going to listen to on the Cavs if he starts to step out of line? There is also the part of the contract offer that provides a team option for the second year. If Bynum does come back this season and plays well, the Cavs would certainly pick up the option. But if that were to happen, would Bynum be happy? Has he matured enough to accept that the Cavs took the risk in the first year and he would then need to make good on the deal in the second year, even if it means he would not make as much money as he wants? Or would he pout through that second season and become a distraction during a year that many believe will be the season the Cavs finally make a real playoff push? Bynum is a 25-year-old who may have the knees of a 50-year-old. Doctors may have finally fixed him enough that the Cavs could get 70 games out of him the next couple of seasons. He is talented, but also immature. Maybe he has grown up after not playing at all last year. Maybe Mike Brown learned enough from their one year together in Los Angeles that he knows the key to getting a consistent effort out of Bynum.